Kevin R. Kosar is the director of the governance project at the R Street Institute, a think-tank in Washington, DC. He is the author of Failing Grades: The Federal Politics of Education, Whiskey: A Global History, and has written for the Weekly Standard, Politico, the Washington Post, etc. He can be reached at kkosar [at] rstreet.org. The National Archives and Record Administration has the records of the Bureau of Indian Affairs, which operated schools for American Indians. The archival holdings are listed at: http://www.archives.gov/research/native-americans/bia-guide/schools.html. The federal government started making education policy for American Indians as early as 1819 with the Indian Civilization Act, which authorized funds to be granted to religious and private groups to school American Indians. (On the boarding schools, see here.) Eventually, the U.S. government itself via the Department of the Interior’s BIA began operating its own schools. Have suggested titles? Please e-mail me at: kevinrkosar [at] gmail.com ! Buy an author-signed copy for $10! Summary. Presidents from both parties, supported by parents, teachers, and civic leaders have tried and generally failed to increase student achievement through federal policy-making. Supposedly path-breaking legislation to “leave no child behind” has hardly made a dent in the problem. Please support this website—buy a book! 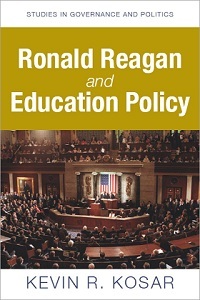 Ronald Reagan entered the presidency promising to return K-12 education policy back to states and localities. 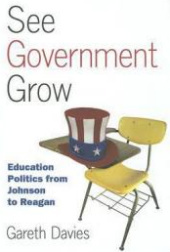 Ironically, Reagan ended up both expanding and legitimizing the federal role in schooling. The full title of this document is Ideas for Tomorrow, Choices for Today: Policy of the Committee on the First One Hundred Days. 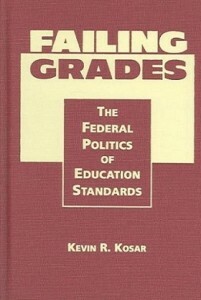 This document is posted here on the Federal Education Policy History website because it includes an entry on education that expresses the perspective of many Republicans of the time. Page 20 speaks of education as “an investment in a healthy democracy and a growing economy.” It also makes a case for “tuition tax credits” to help families choose “independent” (i.e., private) schools, which provide “diversity and competition” (for public schools). You can read the entire document in the window below. To view it a larger window, click here.